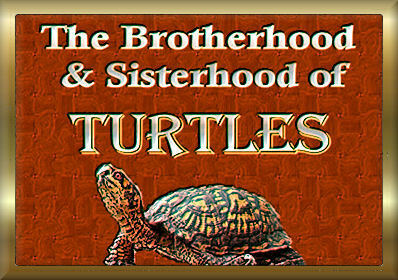 The roots of the fraternal organization in Spondyville known as the "Brotherhood and Sisterhood of the Turtles" traces back to Europe in the 16th century. It is rumored that the 10th Duke of Norspoon was a member, as was the 7th Archbishop of Devonshire. A number of "Turtles" were said to have come over on the Mayflower. The friendly competition between the Turtles and their cross-town rival organization, The Penguins, is the stuff of legend, and has led to some memorable fundraising drives as well as the annual Mayor's Softball Game which the Turtles and Penguins play against each other every Memorial Day for the benefit of the Uriah Stoop Children's Hospital. Marie Strumpell is the current Turtler-in-Chief. "Skippy" Baudelaire, Spondyville's oldest citizen and the town handyman Throckmorton "Pops" DeMaupassant are also long-time members of the organization. Meetings are held on the first Thursday of the month. 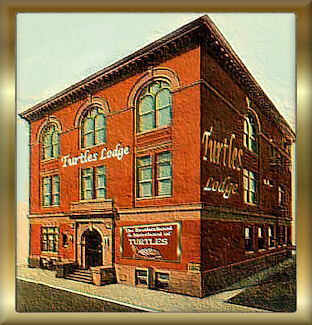 The Turtles Lodge is located in the old Reitersburg section of town and was built in 1895. A renovation and modernization was completed in 1985.